Canawrap is an award winning 3M Select Graphic Provider of vehicle wraps. We specialize in vinyl wraps for commercial vehicles, trucks, cars, vans, billboards, boats, and any-scale graphic installations. 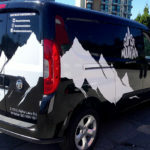 Canawrap vehicle wraps all start with a great design. We offer a full range of design services, from working with your existing branding and transforming it into a striking vehicle wrap, to full ground up design services with a custom logo and complete company re-branding. With years of experience Canawrap custom designs have been featured in numerous graphics industry publications as well as received 1st place awards for custom vehicle wrap design! 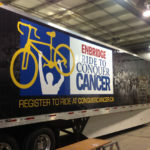 Canawrap vehicle wrap advertising is taking the country by storm! Whether you have a single sales vehicle or an entire fleet of sales and/or service vehicles, we have a solution to fit your marketing needs. A head-turning Canawrap vehicle wrap is impossible to ignore. With current technology and materials engineered to wrap cars, vans, trucks, motorcycles and anything else with wheels, a wrap delivers second-to-none advertising and brand awareness to the streets for literally thousands of daily impressions. Your cost per impression is pennies and let’s face it, people DO judge a book by its cover. 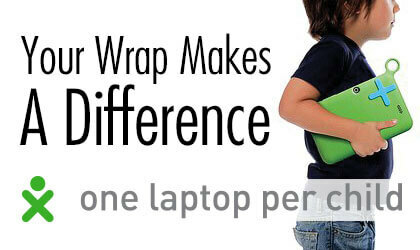 There is a reason why Big Box Retailers, National Restaurant Chains, and global marketing companies wrap – It Works! 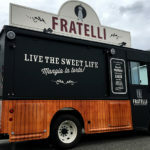 Canawrap has produced award-winning vehicle wrap designs and understands that design is paramount when it comes to your vehicle wrap advertising. Whether it’s a full or partial wrap, it is critical that your brand, logos, colours and imagery are laid out clearly and are balanced. From design consultation to after-care service, our Canawrap team works with you to ensure that your message is delivered in the most effective way and continues to look great for years. Canawrap doesn’t stop at vehicles. We have years of experience wrapping exterior murals, interior walls, windows and even sidewalks! The 2010 Vancouver Olympics showcased some of our architectural graphics and you too can combine your marketing message across your office walls! Creating a brand experience that carries through from your vehicle, web and environment is critical. Gone are the days of white walls, bland and mixed marketing messages. 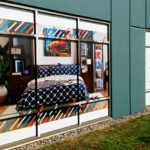 From consultation, design, production and installation, Canawrap is a one-stop solution for Architectural Graphics that include Interior & Exterior Mural Graphics, Perforated, Backlit or opaque window graphics solutions and even custom wrap display boards, 3D lettering and custom Canvas wraps! For public events, trade shows or small temporary solutions, sometimes a banner is all you need. Hemmed with grommets and full colour wide format digital, our banners are the best in the biz! Canawrap wide format, full colour banners make a big impression for any special event, trade show display or construction-fencing project. Banners are a cost effective medium that can create awareness quickly and help you stand out in a crowd. From scrim banners to textile banners, backlit banners to mesh, we are your one stop, solution provider for custom full digital printed banners of any size or material!